Rotary International District 3054 and the felicitation committee. It is worth mentioning that he is the fourth Indian to be designated as Rotary International President. In this ceremony, PDG Ashok Gupta, PRID Manoj Desai, DGE Bina Desai, DGN Rajesh Agarwal and PDG Ajay Kala felicitated Padmashri Dr. Sushil Gupta by casting his foot prints on clay for keepsaking. They also give away memento, shawl, shrifal and a painting to felicitate and acknowledge his achievements. IIS Deemed to be University took as proud privilege to confer the Degree of Doctor of Science (Honoris Causa) upon Padmashri Dr. Sushil Gupta for his pioneering contribution and exemplary services in the field of water management and environment conservation in its third Convocation Ceremony held in 2014. Dr. Sushil Gupta has played a major role, as a water activist, in following his passion and see it bear fruit. As the Founder President of the Rotary India Water Conservation Trust, he was instrumental in taking up several watershed development projects in various parts of India, which have changed the lives of more than half a million people. In fact, it has been at his behest that Rotary in India has drawn up a road map for creating awareness and disseminating information about key environmental issues and water conservation techniques among all stakeholders, at different levels. Dr. Gupta is also the Vice Chair of the Himalayan Environment Trust and had been actively involved in cleaning and making green the Gangotri Basin of the River Ganges. The felicitation ceremony commenced with PDG Dr. Ashok Gupta’s welcome address in which he expressed his feelings and gratitude towards Dr. Sushil Gupta while saying that they both joined Rotary together in the year 1977. He reminisced how Dr. Sushil had a great influence on his professional and personal life. He further said that Dr. Sushil has taken the word service to a whole new level through his dedication and endearing nature. “Dr. Sushil Gupta has always appreciated and communicated the positive thoughts and gracefully embraced the virtues and feelings of each and every human being. Dr. Sushil always had my back at every stage of my life. This is the reason he is a philosopher and guide for each Rotarian including me”, Dr. Ashok Gupta expressed. PRID Manoj Desia and DGE Bina Desai also welcomed Dr. Sushil Gupta along with fellow Rotarians gathered in the felicitation ceremony. They also welcomed the members of International School Association came all the way from Spain, Argentina, Turkey, Senegal etc to become a part of this mega event. The Rotarians had multiple reasons to cherish this evening throughout their lifetime which includes mesmerizing performance by singer Ravindra Upadhyaya. He transformed the evening with his compelling voice and depicted state’s culture and heritage which was thoroughly enjoyed by one and all present. A lot of reasons made this evening memorable among which the one is the fashion show put up by the designers of IIS Deemed to be University. Designers Ritika Nuhal, Mili Mimbrak, Nupur Mulani, Kiran Jeevnani, Parul Sharma, Neha P Sahetai, Tarushi Jain, Tanishka Singh Rathore, Shreya Gupta, Pushpa Bhati and Vibhuti Poddar have shown the importance of water conservation through their collection. The outfits were worn by 09 models that happened to be the students of the university. Though water has no color but to represent it the designers have used different shades of blue in plain and digital prints. Chiffon, Crepe and georgette fabrics were used to give the illusion of flowy silhouettes. presence of Padmashri Dr. Sushil Gupta who has dedicated his entire life in spreading awareness towards water management and environment conservation, rotaractors of the university have put their bits to explicit the importance of water in everyone’s lives in the form of culture, societal and religion. Lastly, a beautiful classical performance on Vande Mataram spread the love and harmory for the nation among audience. A two-day multi-district training seminar for newly elect Presidents and Secretaries of District 3054 and 3060 was commenced at Kshipra Path situated India International School auditorium on Saturday. 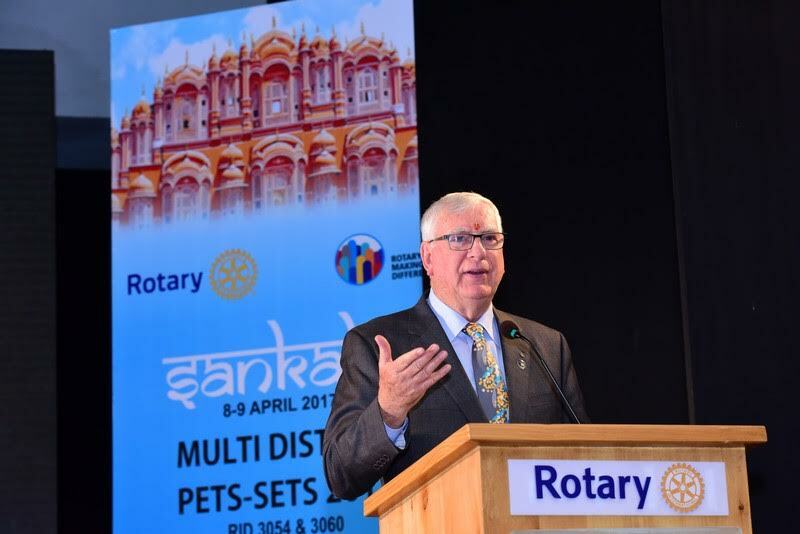 This two days programme was hosted by Rotary Club Jaipur Marugandha and Rotary Club Surat West in which Rotary International President Ian Riseley and Rotary International Director Dr. Manoj Desai were the chief guest on the occasion. Teachers’ Skill Development Programme organized for Government School teachers. After the success of Polio Eradication Programme, the Rotarians have taken up a new mission of Complete Literacy with Quality Education. TEACH Mission is the new initiative taken up by the Rotary International to eradicate illiteracy in Southern Asia. TEACH Mission consists of ‘T’ for Teachers’ Support, ‘E’ for E-Learning, ‘A’ for Adult Literacy, ‘C’ for Child Development and ‘H’ for Happy Schools. Rotarians admit that only good teachers are able to provide quality education to the youth. To improve the quality of education, teachers required to be more updated and skilled. The founder of The IIS Group and the Vice-Chancellor of The IIS University was conferred with “Sawai Madho Singh Award” for his outstanding and invaluable contribution to the field of administration. 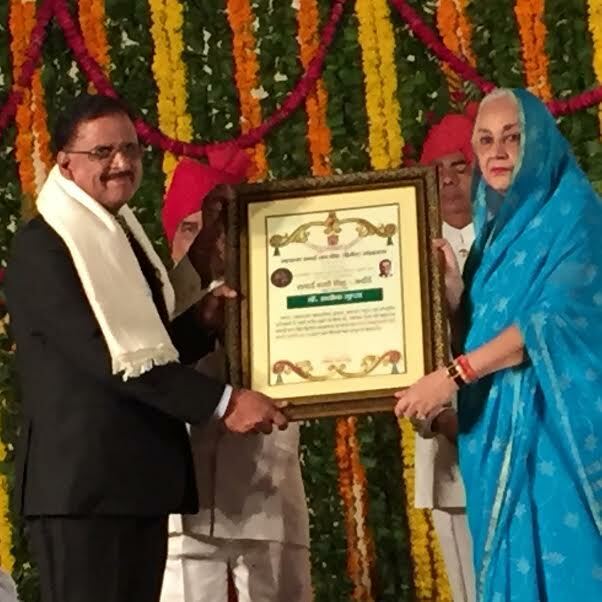 Dr. Ashok Gupta was honoured with this prestigious award from Maharani Padmini Singh and Princess Diya Kumari at a function held in the City Palace, Jaipur, on the occasion of the Birth Anniversary of Maharaja Sawai Bhawani Singh. 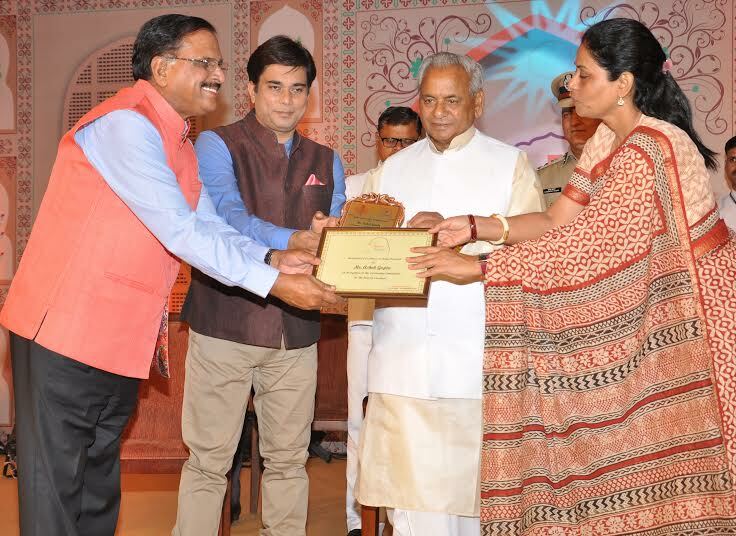 Dr. Ashok Gupta received Shan-E- Rajasthan award from the Governor The founder of The IIS Group and the Vice- Chancellor of The IIS University has recently received Shan-E- Rajasthan award from Governor Mr. Kalyan Singh for his outstanding work towards women empowerment through providing girl education. India International School organized Annual Award Ceremony to felicitate students who excelled in different fields on Monday at school auditorium. Mr. Rakesh Verma, IAS, Additional Chief Secretary graced the occasion as the chief guest. The program commenced with Goddess Saraswati Vandana followed by a classical dance performance. Later, the chief guest and the Director Dr. Ashok Gupta felicitated the awardees under the different categories. This page was last modified on 4 November 2018 at 11:11.